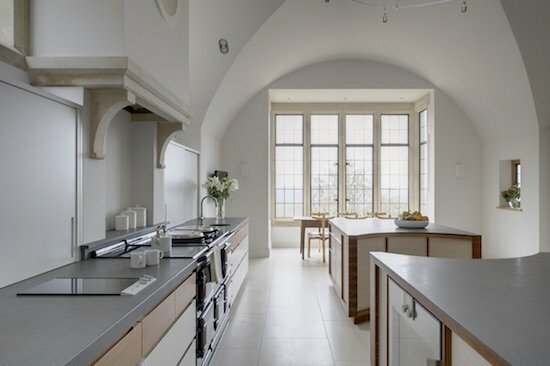 Specialising in the design and creation of stunning bespoke kitchens in Surrey, Artichoke has more than 25 years of experience working with period properties across the region. We have a team consisting of highly talented architects, designers and artisan craftsmen, and we have developed a reputation for completing truly outstanding designs. Please take a look through our portfolio for examples of some of our previous work – if you are inspired by anything you see, we would be happy to talk through how something similar could be achieved in your home. A large part of what would be considered the classic Surrey style of architecture was originated by Sir Edwin Lutyens in the early 1900s. While properties older than this may be in the style of English country cottages, the Lutyens influence can be seen in tall chimneys, large gables and sweeping roofs, which many property developers across Surrey copied through the 1930s. This sort of period detail is one of our specialisms – our team holds extensive experience and knowledge of Surrey country houses. We have a fantastic track record of designing beautiful kitchens to complement elegant properties. Our first project involved the design of the principle kitchen, library and dressing rooms for a family home on Marley Heights, near Haslemere. We have also been involved in extensive work throughout the county, including a whole house renovation near Dunsfold, as well commissions on a large neo-Georgian house in Wentworth and a Lutyens-designed house near Farnham. One of our most recent commissions involved the design of a beautiful new kitchen extension for a Surrey vernacular country home. The room was created in the style of the kitchen of Castle Drogo, with the client requesting a design that was modern but not overly contemporary. We met the brief by utilising a mix of timbers and stones to create a warm and inviting space. The darker timber is European walnut while the lighter timber is a stylish limewashed oak. The dish above the chimney was inspired by a similar feature in Lutyens’ Goddards – one of the client’s favourite buildings. At Artichoke we take a highly involved approach to our designs. We will take the time to understand the features of your home as well as how you and your family before we get started on the designing process. Our first goal is to ensure that a room is practical and can work within the requirements of your brief. We can then focus on designing unique furniture to suit the aesthetic of the property. We have been commissioned by many clients throughout Surrey seeking complete originality and elegance from their home, and we would be happy to do the same for you. Every aspect of your project will be designed and created from our purpose-built workshops. If you are interested in learning more about Artichoke or require information on the services for offer, please get in contact with us today. You can email Andrew or Bruce at newprojects@artichoke-ltd.com or call us directly on 01934 745270. 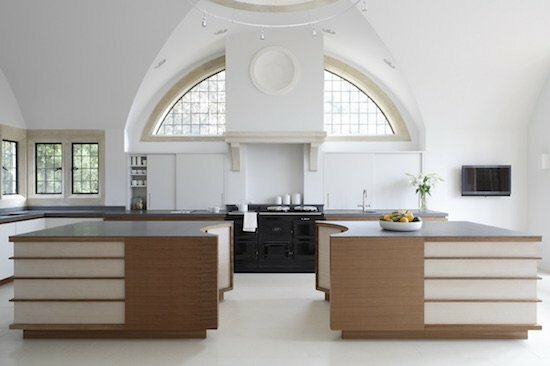 Our team holds extensive experience designing bespoke kitchens in Surrey – we look forward to speaking to you about your project.